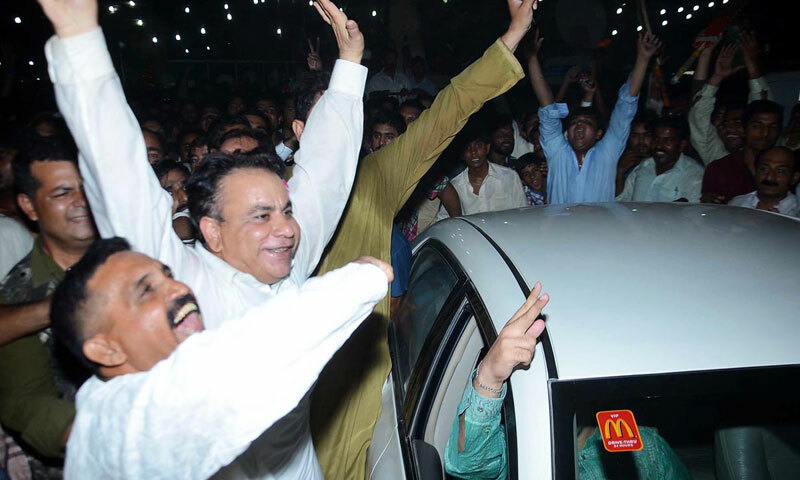 FAISALABAD/ DERA GHAZI KHAN: Pakistan Tehrik-i-Insaf (PTI) candidate Sheikh Khurram Shehzad has won the by-election in PP-72 Faisalabad-XXII, defeating favourite Khawaja Liaquat of ruling Pakistan Muslim League-Nawaz (PML-N) on Monday. According to unofficial results, Shehzad secured 23,972 votes while his rival Liaquat could manage to bag only 18,256 votes. Khwaja Liaquat, elder brother of recently disqualified MPA Khwaja Mohammad Islam, was considered favourite to win the Monday’s by-poll. His brother had been disqualified by the Supreme Court on July 18 when the Higher Education Commission (HEC) submitted a report to the court declaring his academic degree fake. Meanwhile, PML-N’s candidate Shamoona Ambreen Qaisrani won the provincial assembly seat PP-240 in the Dera Ghazi Khan by-poll. 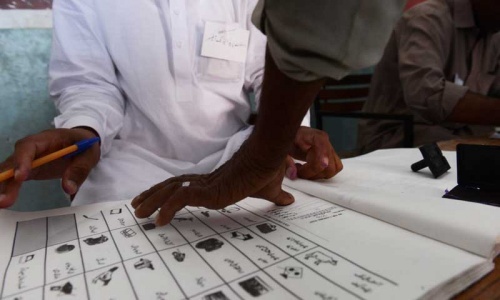 According to unofficial results, Qaisrani secured 47,467 votes while her rival independent candidate Khawaja Dawood Sulemani bagged 19,569 votes. PP-240 was a Qaisrani Baloch tribe-dominated constituency located on the boundary of Punjab and Khyber Pakhtunkhwa provinces. Chief of the tribe, Mir Badshah Qaisrani, had been the traditional and unbeatable contestant from the seat. Qaisrani had been with the PML-N as an MPA most of his political career. However, after developing differences with the party high-ups, he joined the JUI-F and won the seat in the May 11 general elections, but was later disqualified in a fake degree case. PTI are gaining ground, it is clear that the 2 party system is collapsing and we are witnessing history, New Pakistan is taking shape. 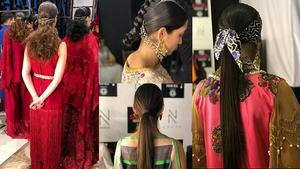 Its the word "Sharam-naak" which comes to my mind considering the elections in Pakistan. The masses were cheated in Punjab in May's elections. The irony is that the state institutions are protecting the false system including the one, which has to provide justice. NADRA's latest revelation is an eye opener for those who are sleeping with their wide open eyes. You are kidding right? Judiciary? Seriously? They are the worst!!! When will our people open their eyes and see what's what. See how corrupt and biased this judiciary is. Have you not had enough already?